My daughter is 8 and like most kids, she's excited for Christmas. She already has a list of what she wants. 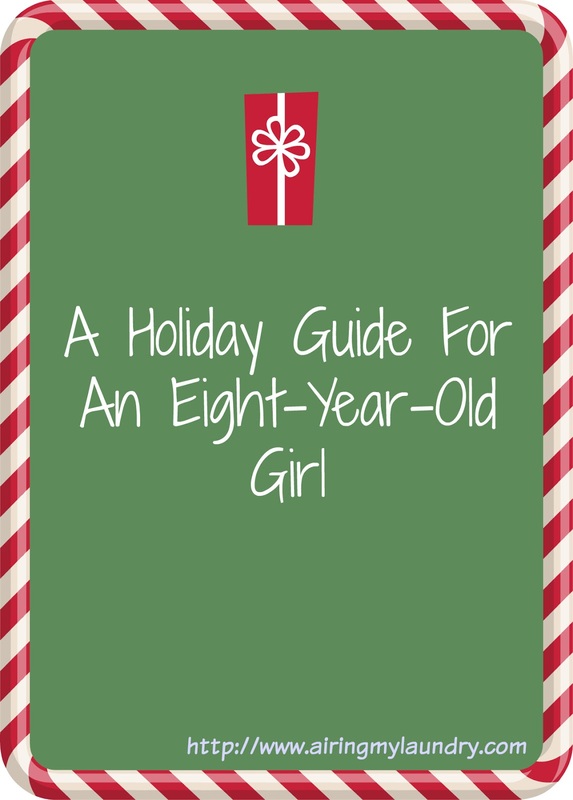 I decided to share the list in case you have an eight-year-old in your life and you aren't sure what to get her. Black Friday is this week so you might be able to get some of these for good prices then. Don't want to fight crowds? A lot of deals pop up online! These are a Target exclusive. They randomly pop up on the Target site and on the Target shelves. . (FYI: the "mystery" is that the Shopkins are neon.) The price is $34. 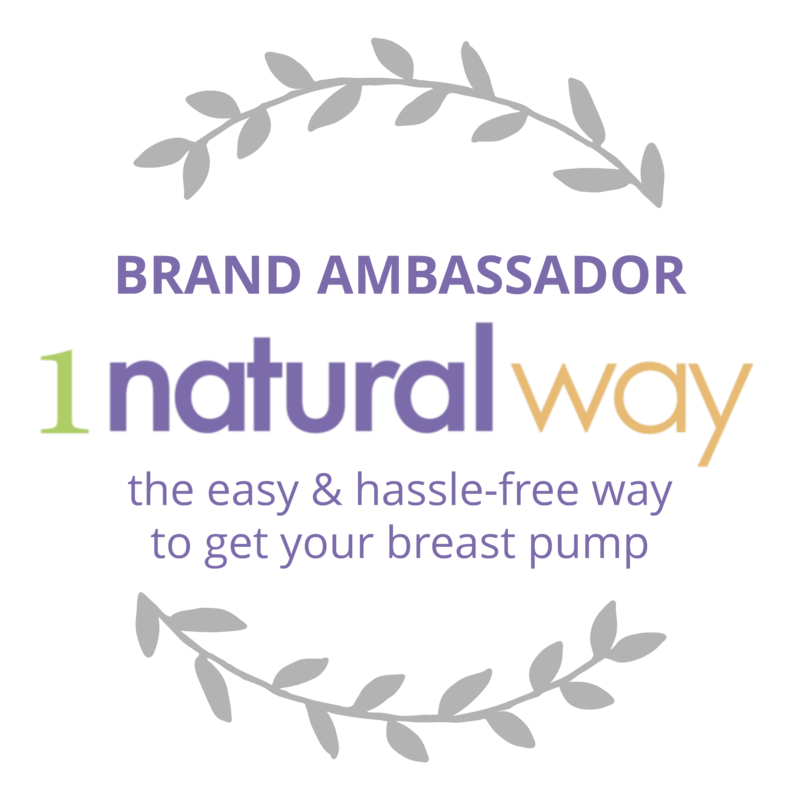 You can buy them on the Target website here. Natalie says you can hide secrets in the journal. I asked if she'd hide secrets from me and she was like, "Well maybe." She's only 8 so right now secrets to her consists of sneaking a piece of candy before dinner and trying on my jewelry. You can purchase this on Amazon and in most stores. (I've seen it at Target.) This is $21.99. Natalie would take all things Minecraft. She spends hours watching Minecraft videos on YouTube. StampyCat. Diamond Dan. Squid. These people are millionaires. I told Natalie she needs to figure out how to make the videos so she can become a millionaire. "But the money would be mine. Maybe I'd share some with you, but only maybe," she once told me. You can buy Minecraft stuff in stores and on Amazon. This is under $20. 4. 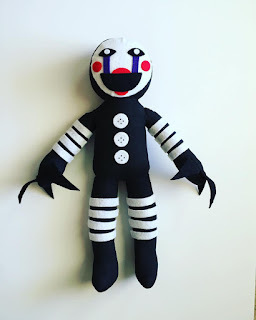 This creepy marionette doll from Five Nights At Freddy's. I know! It is frightening. But Natalie LOVES the game Five Nights At Freddy's. Have a kid? They'll probably know what it is. Go ask. Yes, it's disturbing. No, I would never want to play it. You can buy this marionette doll on Etsy from AllthingsFreddys. It's a little pricey at $52, but it's made well. I always like to support people who have their own business. I won't lie: I picture the tiny balls all over the house. Embedded in the carpet. The cat. I'm told it's not as messy as I think but they don't know my daughter as I know my daughter. Unless this is an amazing deal, I doubt Natalie will be getting this. But if she gets Christmas money she might turn around and buy it. Help! You can buy this in most stores or on Amazon. This is under $30. 6. My Little Pony Apple Acres Barn Pack. Natalie has a ton of My Little Pony stuff so I'm not sure if she'll be getting this. We have so many plastic pony houses that end up falling apart. We're running out of room for all the parts. I've seen this in most stores and on Amazon. This is under $20. 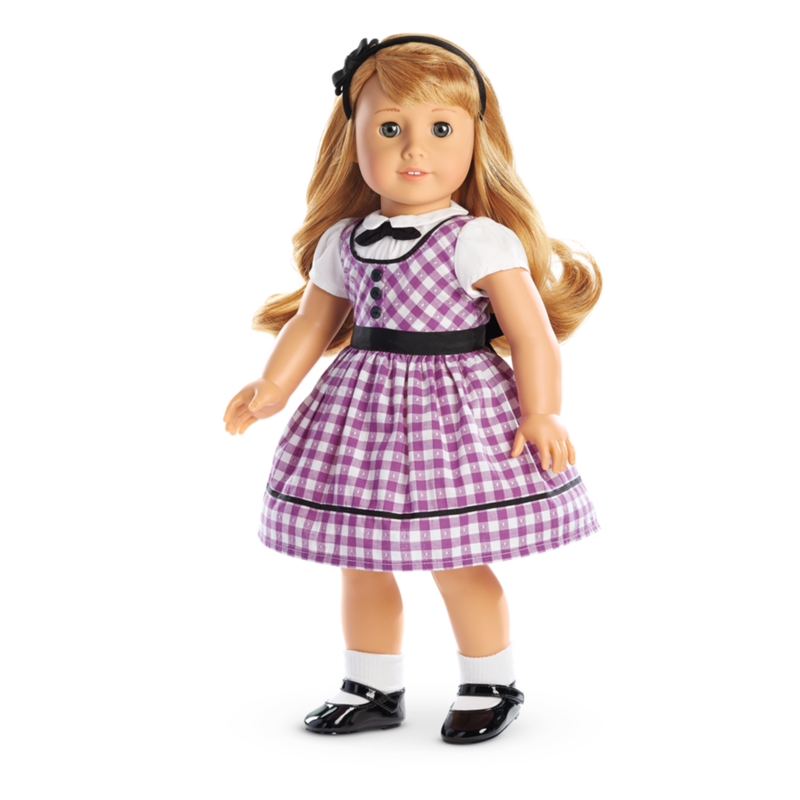 Yes, American Girl items are overpriced. But they are made well. Natalie has 3 dolls and she feels like they don't have enough clothes. 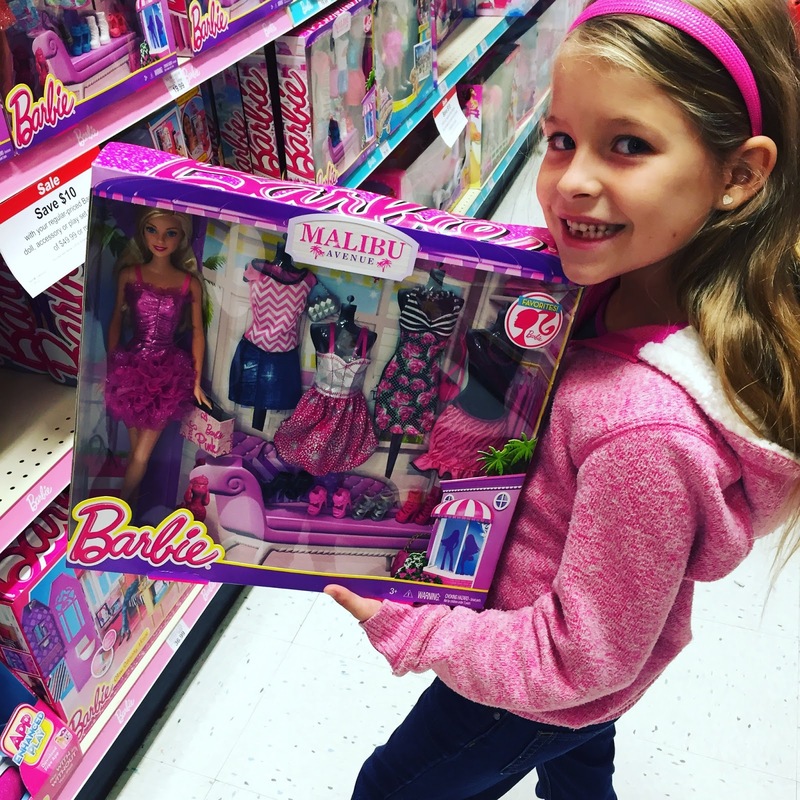 "Marie-Grace wanted to wear a beautiful dress and she couldn't because I don't own one!" Natalie informed me matter-of-factly. I'm told good deals might occur on Cyber Monday so I'll be checking out the site then. This outfit is $34. It costs more than many of my outfits. You can buy it here. These can be tricky to find. I bought mine at ToysRUs.com. You just have to periodically check. The dolls will randomly become available and then go out of stock. I've seen these in store at WalMart and Target, but never all three at once. Each doll is $16.99. They randomly pop up on Amazon too. Just type in "shopkins dolls." Do the same at Toys R Us. As if your daughter needs more stuffed animals. Am I right? But Natalie loves these. She really wants this one. I've seen them at Claires and the Hallmark Store. They range from $7-$14.50, depending on the size. There are a lot of them on the Claires website now. My daughter LOVES makeup. She looks like a two dollar you-know-what after she applies it though. Still. She has fun. No, I don't let her go to school looking like a drunken Kardashian. But the house is fair game. Have fun. Look like a washed out Real Housewife of OC! Enjoy! 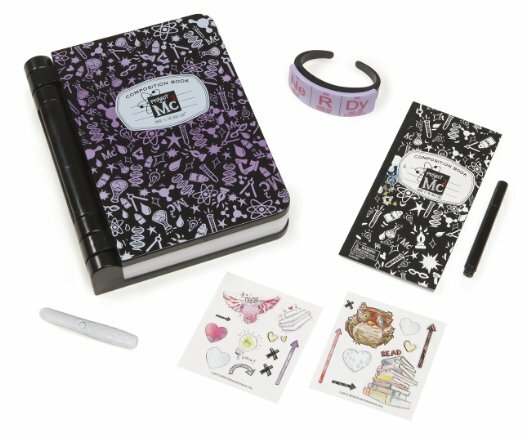 You can buy makeup kits at Claires, Kohls, Target...the one pictures can be purchased at Claires for $16.50. My daughter has TONS of Barbies. So now she feels like she needs clothes for them. 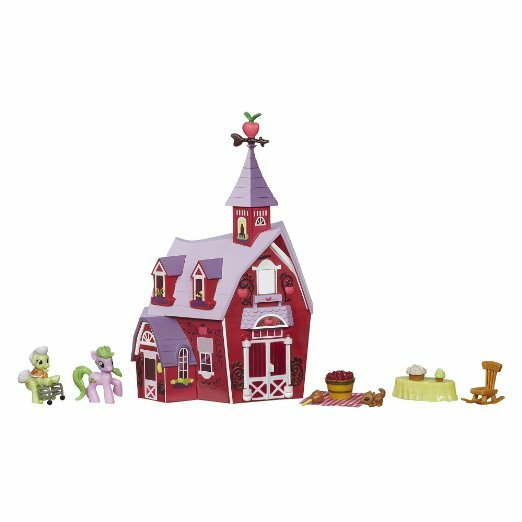 This set was $23 and you can purchase it at Toys R Us. If you aren't sure what Barbie the eight-year-old in your life has, I'd go with clothes. Or Barbie furniture. That foot spa looks so weird!! 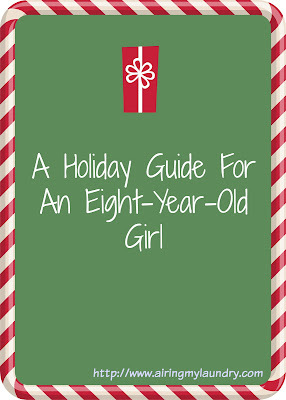 Thanks for this list...I am stumped on my 8 year old daughter, so far I have gotten her shopkins, a zoomer kitty and I want her to start collecting something, so I got her a sticker book and stickers....she's not into minecraft or any of that and she doesn't play with the barbies she does have...she really doesn't do anything alone...but the orbeze spa thing, she did want that last year and never got it! You're welcome! 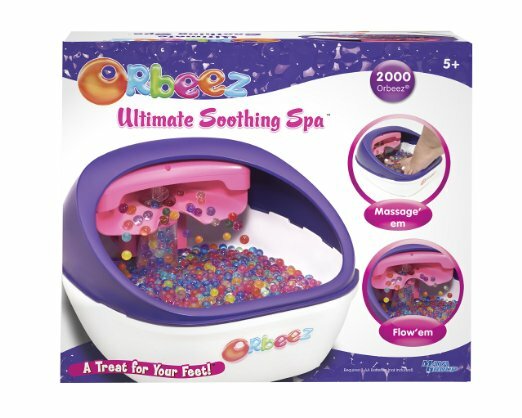 I still go back and forth with that Orbeez spa. My nieces were wearing makeup with weekend and i was so shocked but they do love it. I love girls toys! I have so much fun with them myself!!! I keep hearing about Shopkins but have had no idea. That mystery pack looks like something my nieces would like. 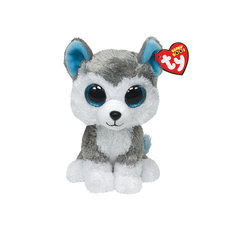 Both my kids, my 8 year old daughter and my 4 year old son, are obsessed with Beanie Boos! And almost everything on this list is what my 8 year old has asked for. Except Five nights at Freddy's -- she knows what it is through friends but she's not allowed to play it. She scares easily and I know she would have nightmares over that game! The foot spa thing is intriguing me. I can't look away. Scarlet loves Beanie Boos. I think she likes Shopkins but Cassidy told me 'DON'T DO IT!" HAHA I'm glad you won't let your daughter out of the house looking like a drunk Kardashian...! 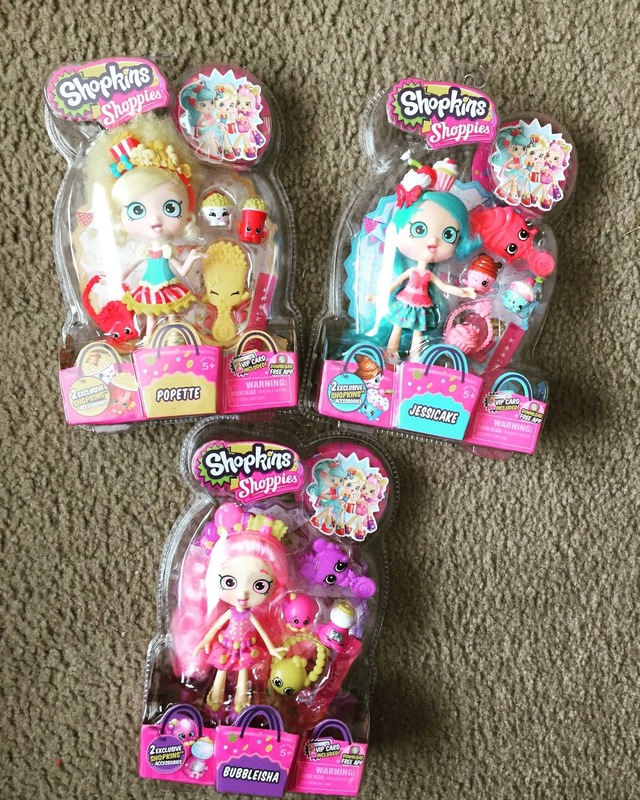 Shopkins mystery?! 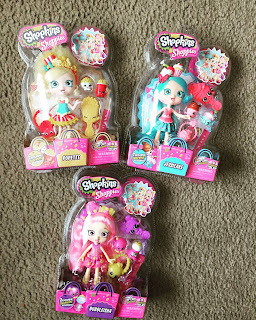 My daughter loves Shopkins and I never heard of the mystery kind. She'd go bananas for them. I believe it's only available at Target. I actually saw them in the store the other day and I think they pop up online now and again. 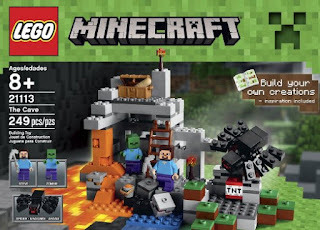 The Mindcraft is a great choice. My boys love this game. My 8 year old loves My little Pony and beenie boos! Terrific list and thanks for the inspiration! !